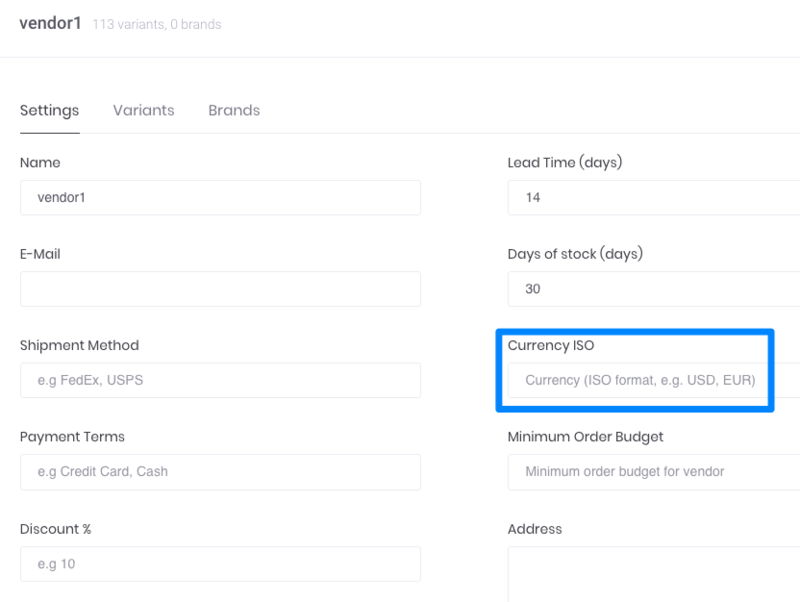 How does Inventory Planner handle different currencies? Order from vendors in different currencies, currency is displayed in Inventory Planner reports, and how currencies are converted. What currency is used for your account? The base currency for your account is automatically detected through the API to your store. When you have connected accounts using different currencies, the default currency will tie to the first platform connected. Where do different currencies show in Inventory Planner? All sections of Inventory Planner other than Purchase Orders show in your base currency. Cost prices for your products are converted into the store currency. Purchase Orders can be customized to the currency of your supplier. 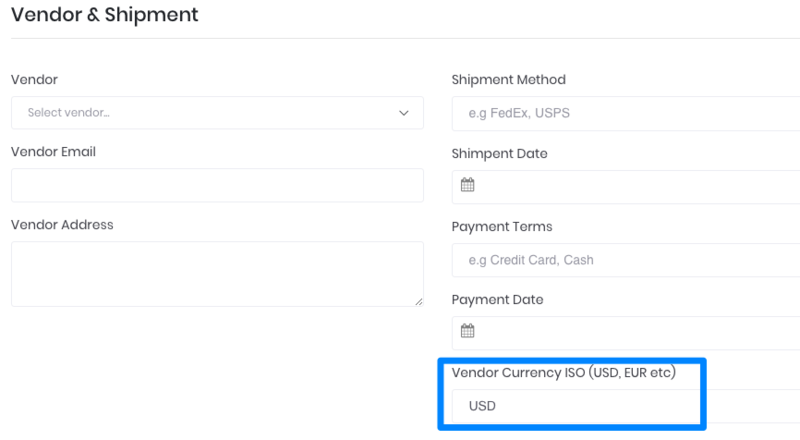 You can designate a currency for your supplier in the Vendor Section. You can also change the currency when creating a purchase order. First click on 'Switch to Advanced Mode'. You can then change the currency in the Vendor & Shipment section. How are sales in different currencies converted in Inventory Planner? Inventory Planner connects to Fixer.io to retrieve up-to-the-minute currency conversion rates. Data is retrieved from banks and financial data providers. Exchange rate information used is the midpoint of the Bid and Ask.